Why don’t you let me take all the stress out of it all for you? 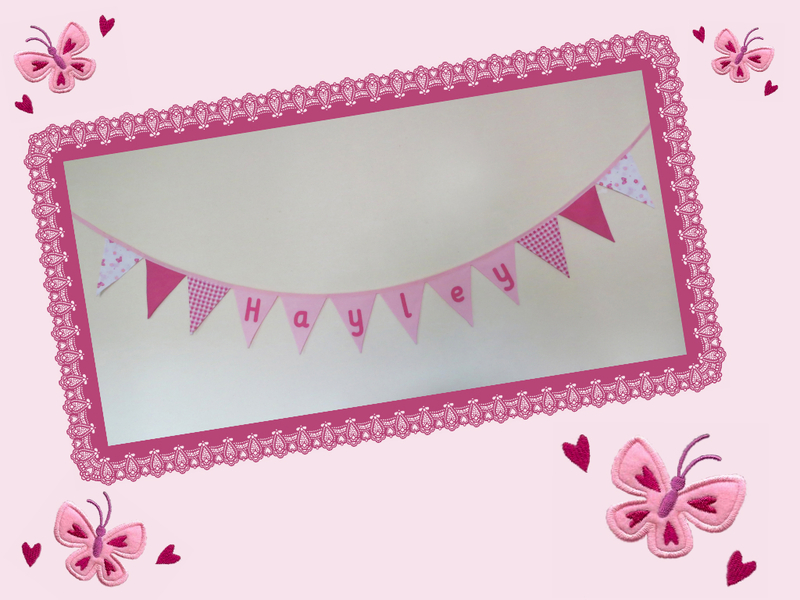 Children have so many toys and they love to see their names decorating their bedroom walls. 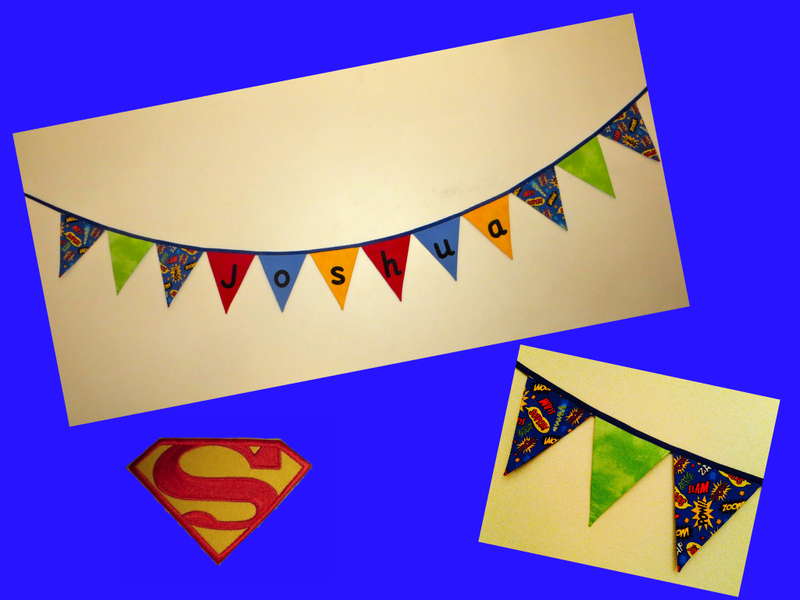 I was amazed that I was able to fulfil the request for ‘Super Heroes’ fabric but find it I did and it fitted the bill exactly. 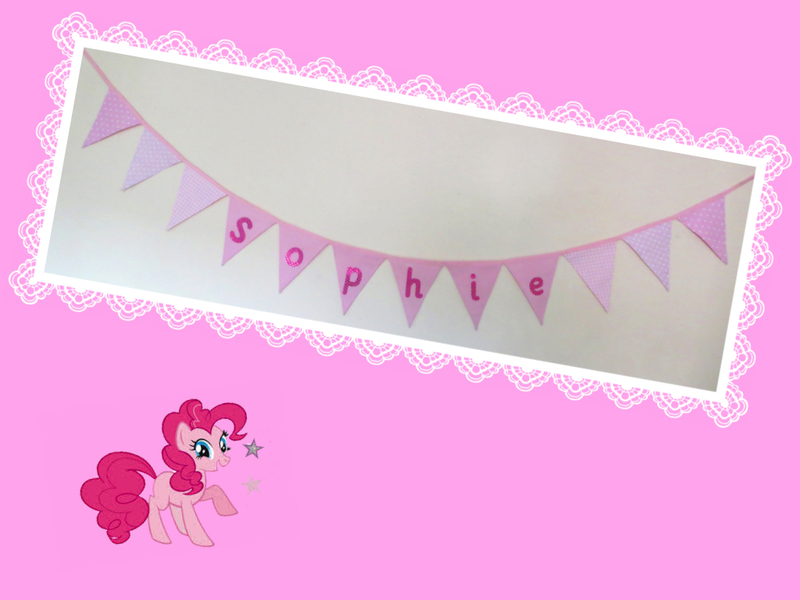 And you can’t go wrong with pink for any little girl!! It’s quite hard to see but the fabric on the ends of this banner is full of butterflies.